HAROLD CAMP has the necessary experience, training and resources to meet all of your motor vehicle appraisal needs. He has extensive personal experience and resources in various motor vehicle markets as well as his “hands on” experience and knowledge as an avid collector car enthusiast, restorer and builder of antique, street rod and special interest vehicles for over thirty-five years. 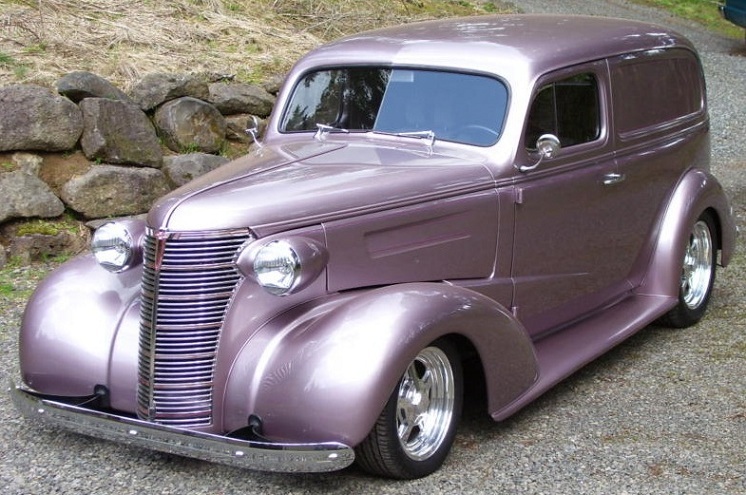 Mr. Camp also successfully owned and operated a nation-wide catalog auto parts business and open shop for several years that specialized in reproduction, used and New Old Stock (NOS) parts for; antique cars and trucks, fiberglass and steel replicas, street rods and other collectible vehicles. Since Mr. Camp started his independent appraisal business in May 1993 he has performed thousands of professional motor vehicle appraisals for the general public, affluent private collectors from various locations nationwide, corporations, foundations, banks and credit unions, insurance companies, police departments and other government agencies. He has also provided litigation support and expert witness testimony in the courts. In my spare time I enjoy working on, detailing and driving my newly acquired 1938 Chevrolet Master Sedan Delivery Street Rod. The car is an older professional build with only about 7,500 miles. I plan on upgrading and updating several things on the car over the next few years. Come by and say hello if you see this car at a car show near you! 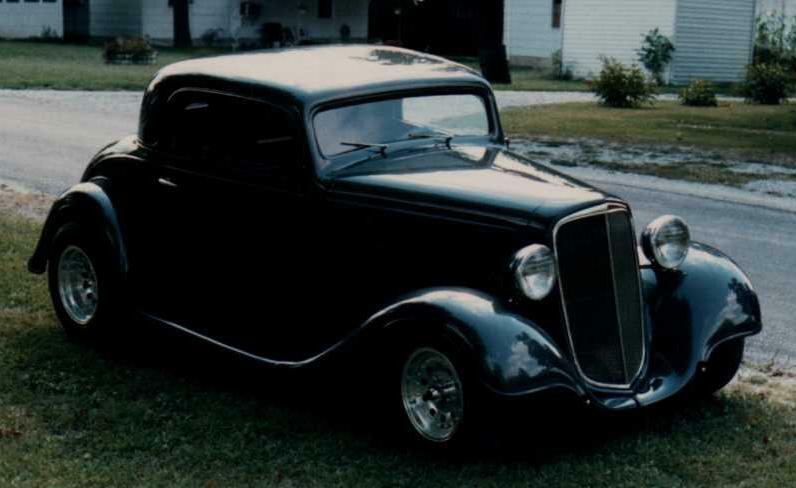 Shown at the right is a before photo and at right and below are a few after pictures of a 1935 Chevrolet Standard 3/Window Coupe built by Harold Camp. The car originally came out of South Dakota where it had reportedly set in a pasture for an indefinite period of time - the original vinyl top insert was gone and wood top bows rotted away and most of the wood structure inside the body and interior were rotten or gone. The main body of the car was in remarkably good condition with only surface rust and minimal rust out in one very small area in one rear quarter. The original steel fenders and runningboards were obviously in poor condition and were replaced with fiberglass fenders and smooth runningboards. 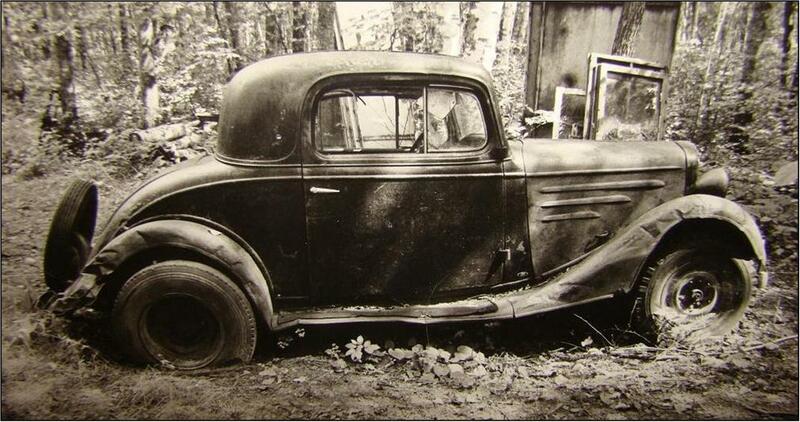 The car was purchased from the owner in South Dakota by two brothers in Brainerd, Minnesota and then was purchased from the brothers by Mr. Camp as shown in the before picture above. The after pictures show the car built as a finished street rod with a 3-1/2" chopped top, steel filled roof, steel Rootlieb three piece hood, 355cid small-block Chevy V8 engine, TH350 automatic transmission w/Gennie shifter, Mustang II independent front suspension w/disc brakes, rack & pinion steering, 8-inch Ford rearend, GM tilt steering column, Vintage Air A/C and heat, 20 gallon polished stainless gas tank, etc. This car has won several awards at various car shows on the east and west coast since completed. "Unfortunately, I sold this car several years ago and wish that I had it back." 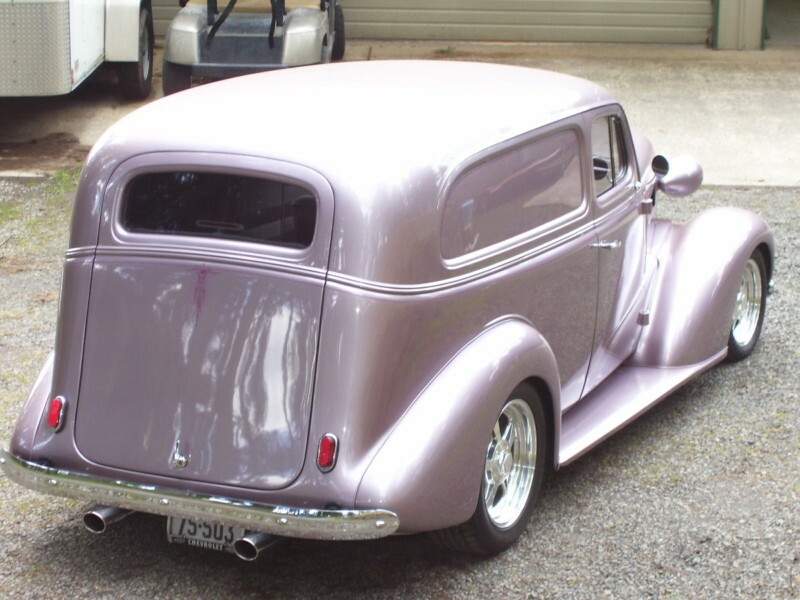 UPDATE: I was able to track down my old '35 Chevy Coupe back in July of 2014! The pictures at right and below are the car as it looks now. It is on its third owner since I sold the car almost thirty years ago. The current owner doesn't want to sell the car, but I may have a chance to buy it back someday, I can only hope right now! There have been a few changes to the car since I sold it in 1987; new wheels and tires, new Heidt's Super Ride front suspension, new upholstery, new polished aluminum dash insert and new chrome Ididit tilt steering column. Everything else is the same; same engine and transmission, same paint, same chassis and rear suspension, same Classic Instrument gauges, same Porsche bucket seats, etc. The car looks great and I continue to hope I can buy it back someday!